A Christmas Hamper is a traditional English gift, usually they contain festive treats such as fruitcake or Christmas pudding, chocolate, jams, smoked meat, tea, coffee, bottle of wine.. In a nutshell (obvs a Christmas one!) you can put anything you like into a hamper. 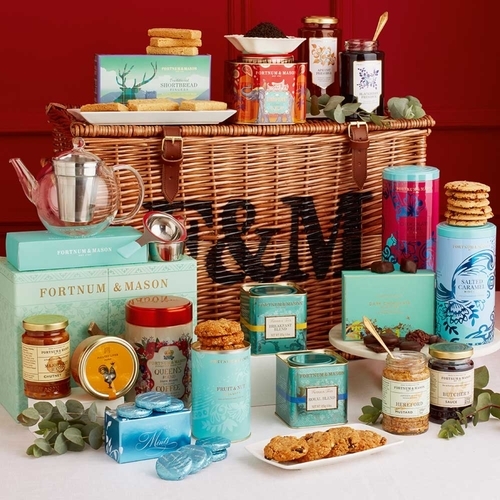 The most famous hamper must be the Fortnum and Mason hamper, they have been making hampers since the late 1730’s. And despatch them worldwide from Afghanistan through to the more sedate setting of Glyndebourne. One of the delights about Christmas Hampers for me is making my own, you can be upfront and personal… It doesn’t need to be simply about food either. Every year I would make my Nannie a hamper of all of the things I knew she would enjoy. The thread that held it together was LOVE. Over the year if I stayed in a swanky hotel, I would take the toiletries for the hamper, she loved the shower caps (they kept her hairdo looking great). 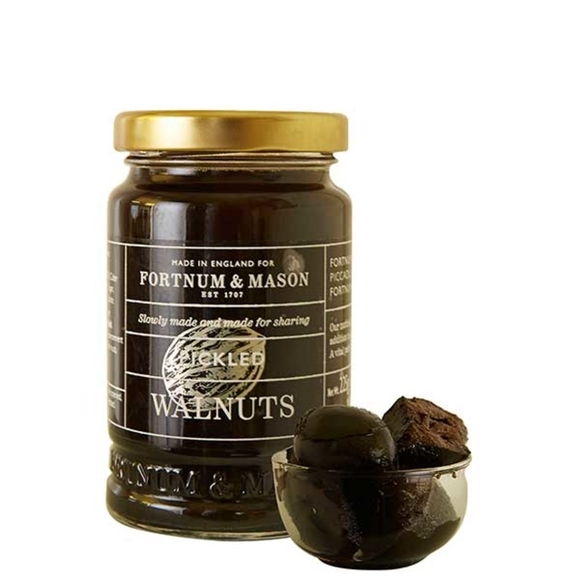 I would include pickled walnuts (yes they exist), thick cut traditional marmalade, Basildon Bond paper and envelopes, stamps, fruit jellies and Assam tea. As she hated waste, the thought of a wicker hamper would throw her off the scale, so I would cover a cardboard box in beautiful wrapping paper. 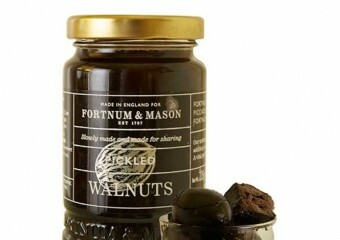 Nannies favourite – Pickled Walnuts! 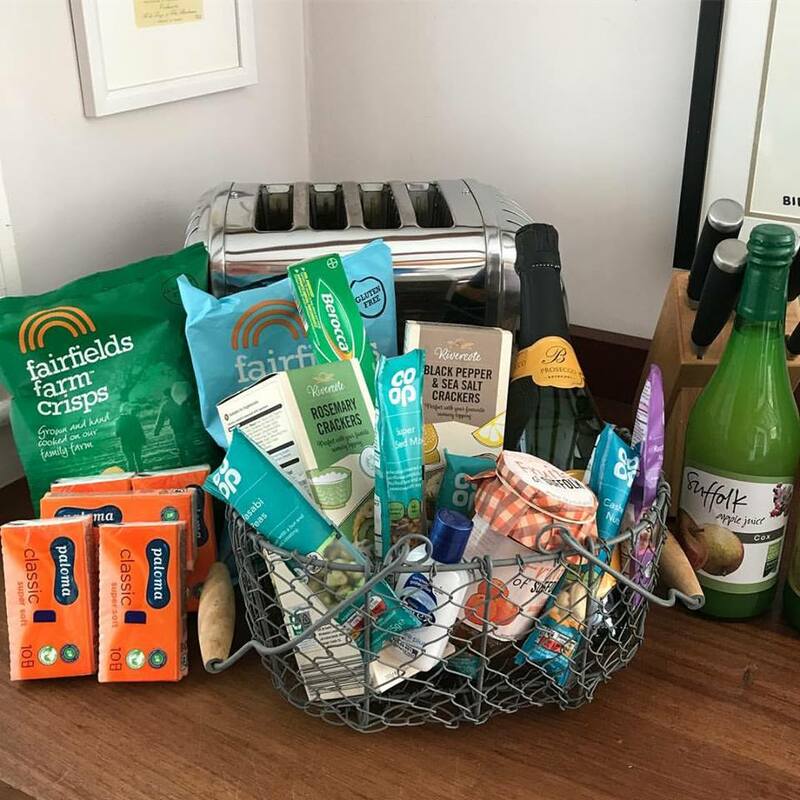 For guests who stay with us, I make up our hampers from locally sourced products and make sure we have something for everyone. Cake made in the village by Mixing Bowl, juice from High House Fruit Farm, Corkers Crisps, olives from The Greek Olive Company, marmalade from Fruits of Suffolk, and a bottle of fizz – which at the moment is from Italy although I’m working on it. I also include a bar of soap from Maldon Soap Company and if we have children staying I pop in a peg doll and a few sweets – well it is a holiday after all. 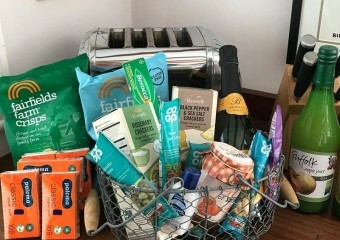 When I discovered we had guests staying who were going on to Latitude, I included Berocca, super seeds, hand sanitiser, paper hankies, a bag of coffee and some Pump Street Chocolate! This Christmas I will be scouring our local delicatessens for more tasty treats to create a lovely seasonal hamper for our Christmas guests. 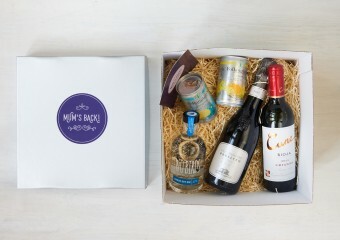 If you are tempted by a Christmas hamper why not take a look at these, provided by some innovative small businesses throughout the UK. For any new mum – Mums Back this is a great hamper to give to any of the new mum in your life, they also have great hampers for an old mum too! Emmetts Ham – the oldest ham and bacon producer in the UK. Well know for their delicious products, give them a call and you can create your own hamper or choose something from the gift range. Ross and Ross – who specialise in innovative and unique food products and gifts using the best British ingredients and products. 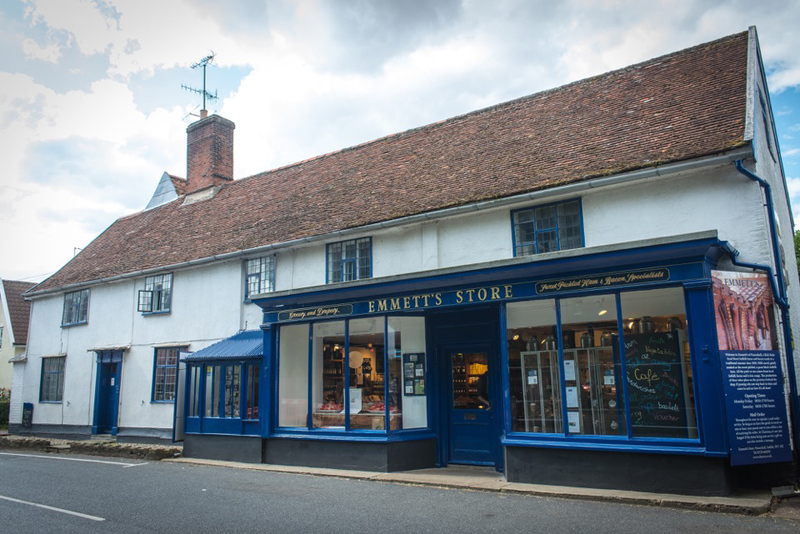 Suffolk Food Hall – bring together some delicious Suffolk products. 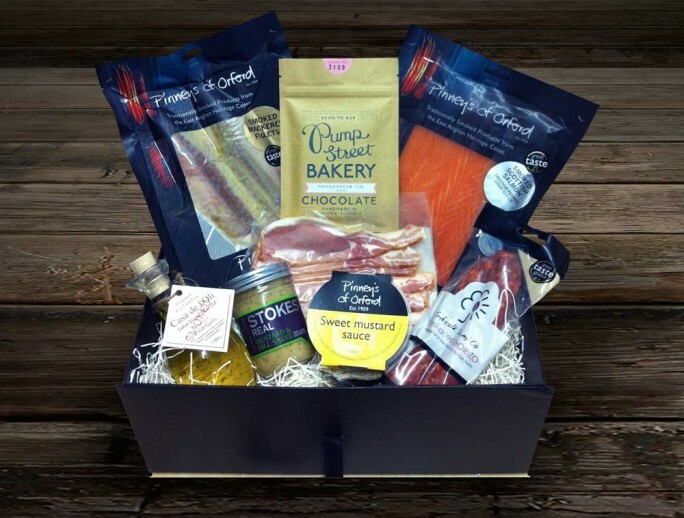 Artisan Smoke House – using artisan products, these hampers are great for foodies. Pinneys of Orford – have their traditional smoked product hamper – perfect for breakfast on Christmas morning. Wishing you all a Very Merry Christmas and look forward to welcoming you to The Wood Store in 2019. Great blog. I love the idea of giving/receiving a hamper. If my Mum’s Christmas gift wasn’t already sorted, I’d put a hamper together for her – I’ll have to remember for next year. So lovely that you used to make a hamper up for your Nannie, Sara. It’s a fab idea for your lucky guests too. Thank you Julia – it was the highlight of her Christmas! I must admit I do love a hamper. What a lovely idea to make your own! Next year Clara – perhaps a DIY one for your partners birthday! !